About two years ago, I’ve posted an article about Chesini bikes and the beautiful city of Verona, titled “Verona and Chesini“. In that article, I wrote about how I paid an accidental visit to Chesini shop at Ponte Navi, Verona. 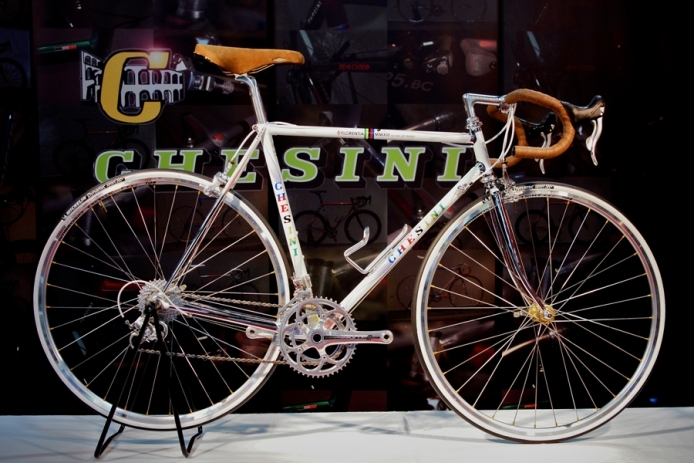 Chesini was founded in 1925 in Verona by Gelmino Chesini, who had been a bicycle mechanic before he began building bicycles. Until the end of the era of steel tubes and lugs, Chesini was a famous bike company. Even some world championships were won with Chesini frames. When I visited their shop in 2009, it seems they were out of the road bike building business, they were selling another brand of road bikes, but the only Chesini labeled bikes were cheap city bikes. Until then, it seems they’re back into business. In September 2013, UCI Road World Championships have been held in Florence (Firenze), Tuscany, Italy. Chesini wanted to celebrate this event with a limited bike series (MMXIII equals 2013 in Roman numerals). The artisanship of Chesini and the creativity of SAK_ART DESIGN, a known brand in industrial and lifestyle design, have come together and with a common passion created these unique bicycles. You can read the whole story on the article titled Sak_art design. Now they produced a few new road racing bike models. Their flagship is the steel “Chesini GP” (Gran Premio). The bike pictured below is equipped with Campagnolo’s newest Super Record groupset, Chesini GP is a really beautiful road bike. Chesini GP (Gran Premio). The new Columbus Spirit HSS tubes (high speed steel) tripled external butted – 1″ 1/8 1″ 1/2 headtube – Chris King Inset/tapered headset – Fel Columbus carbon fork – Compact custom geometry for a excellent reactivity. 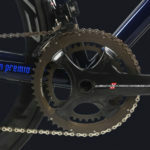 Price for complete bike from €2.900 to €5.600, depending on the components/group which ls of your choice. 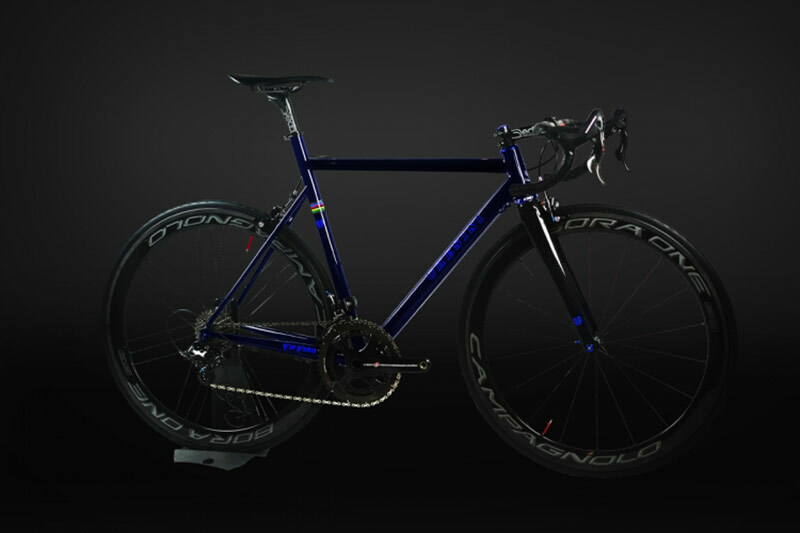 Here the bike equipped with Campagnolo Super Record 2015 groupset and Campagnolo Bora One wheels. 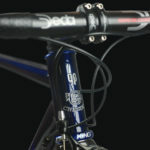 You can see all the bike models on Chesini website. Chesini GP, from the front. Worldwide famous “Arena di Verona” (Arena of Verona), the ancient amphitheatre built by the Romans. is on the Chesini Logo. Chesini GP made by the new Columbus Spirit HSS tubes. 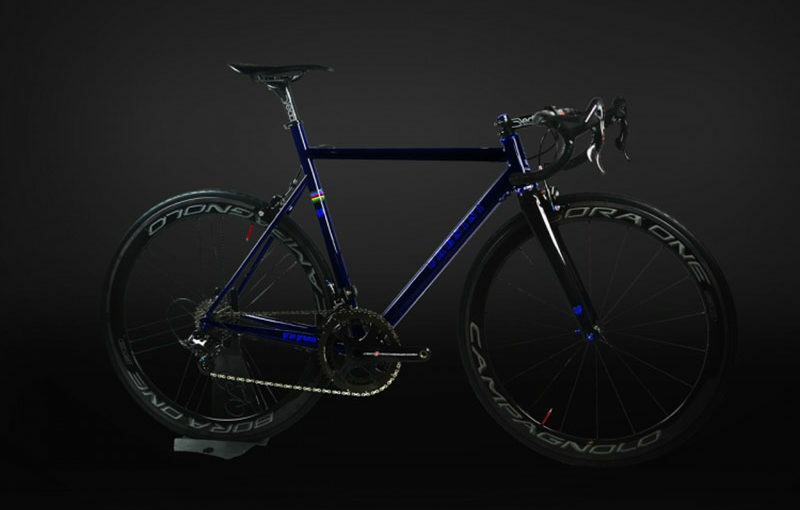 Equipped with Campagnolo Super Record 2015 groupset, Chesini GP is a really beautiful road racing bike.